Webcomics are great, but maybe you want a book you can read offline. Maybe you want print, maybe you want digital. This page right here can help you out with that, oh yes indeed. This page is JUST for Valley of the Silk Sky material. Go here for a complete list of books by Dylan Edwards. These books are all-VotSS, all the time. 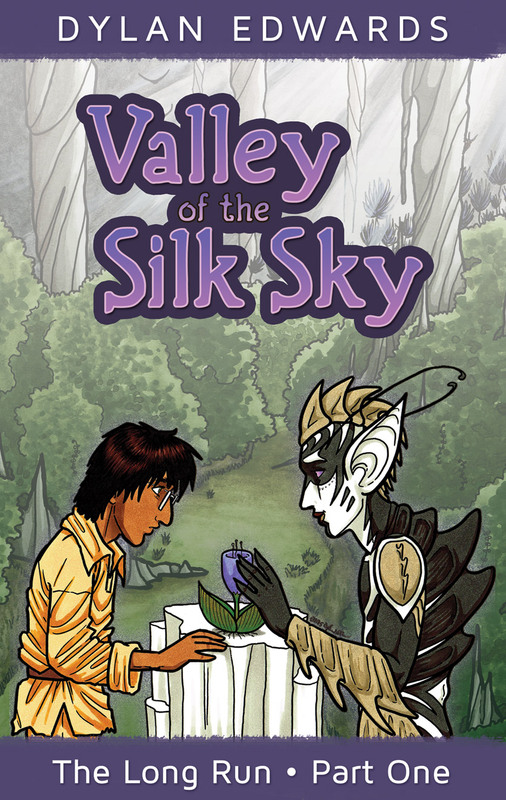 This collection includes chapters 1-5 of Valley of the Silk Sky: The Long Run, and is available in both print and digital. Print: 70 pages, full-color. $15.00. Digital: 62 pages, full-color. $5.99. This collection includes chapters 6-10 of Valley of the Silk Sky: The Long Run, and is available in both print and digital. Print: 60 pages, full-color. $15.00. Digital: 54 pages, full-color. $5.99. 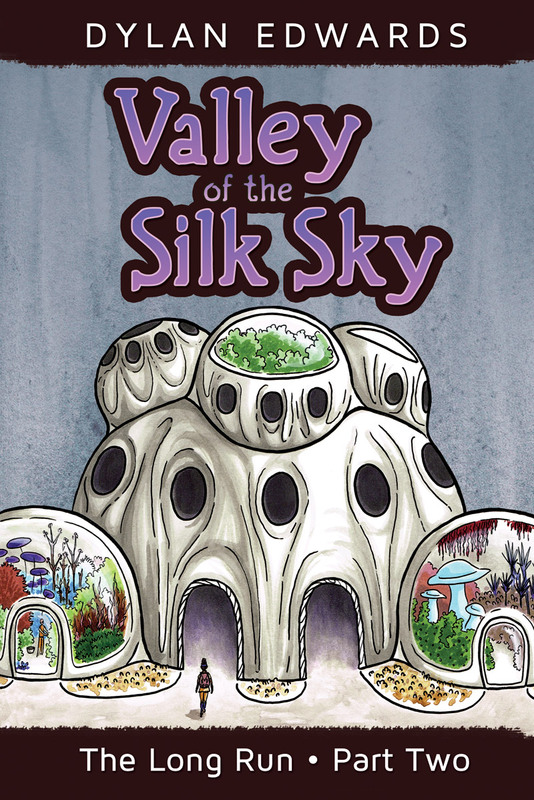 These are anthologies in which you’ll find standalone Valley of the Silk Sky short stories. I don’t typically maintain a stock of these and can’t guarantee availability of any of the titles. But if you’re a completist, here are some leads! 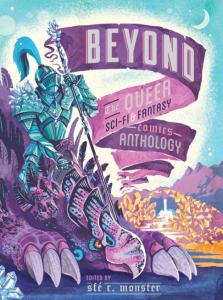 This queer sci-fi & fantasy comic anthology features 18 stories by 26 incredible contributors, celebrating unquestionably queer characters hailing from across the spectrum of gender and sexuality, front and centre as the heroes of their own stories. Winner of the Lambda Literary Award for Best Anthology.